Lay your life down. Your heartbeats cannot be hoarded. Your reservoir of breaths is draining away. You have hands, blister them while you can. You have bones, make them strain— they can carry nothing in the grave. You have lungs, let them spill with laughter. With an average life expectancy of 78.2 years in the US (subtracting eight hours a day for sleep), I have around 250,000 conscious hours remaining to me in which I could be smiling or scowling, rejoicing in my life, in this race, in this story, or moaning and complaining about my troubles. 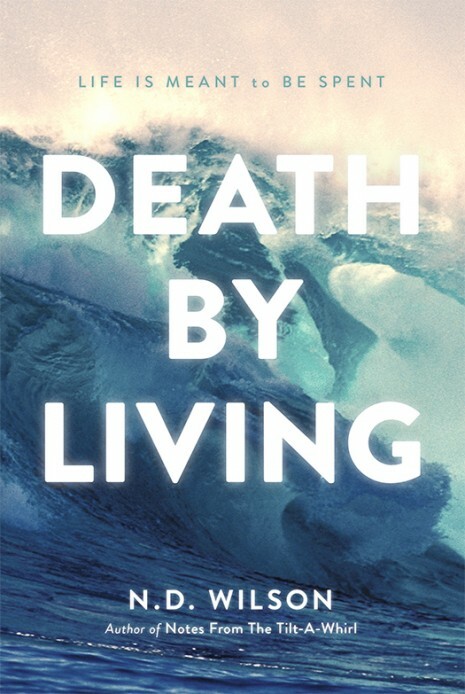 I can be giving my fingers, my back, my mind, my words, my breaths, to my wife and my children and my neighbors, or I can grasp after the vapor and the vanity for myself, dragging my feet, afraid to die and therefore afraid to live. And, like Adam, I will still die in the end. Wilson, N. D. (2013-07-30). 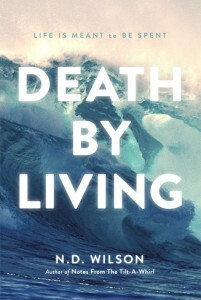 Death by Living: Life Is Meant to Be Spent (Kindle Locations 1028-1034). Thomas Nelson. Kindle Edition. All that to say, I dig the quote up there. Great book from an author who reflects on his life and experiences and encourages us to really live life. The concept of the story that we live in has been a great parallel to our journey through the grand narrative of God we have been spending time in at The Hub with Missio Dei Community. Also as I consider possibly being involved in an improv opportunity next year, I love the reminders of what stories are and what makes good stories. I love being connected to other missionaries in Santa Cruz and spending time together. That’s a great quote up there. Read it and be inspired today to live well today. Stories are powerful and important. We need to tell them more often. Check out the book. It’s worth while. Oh, and I need to blog more. So #5 wasn’t really mentioned above. And I promise I’ll stop mentioning it in every post after 1-2 months between them. But I was telling the guys last time we met, my favorite songwriters to listen to are the ones that inspire me to want to try and write music. That’s when I know they’re good. This book inspires me to want to tell more stories, live better stories, and write some more. This may be a poor writing sample, but hey, gotta prime the pump. When you haven’t pumped water out of a well for a while, there’s a lot of sludge that comes out til it gets flowing. If I worry about editing less, perhaps I’ll actually blog more. Curious what my other friends are being inspired by these days. I’ve been on the fence of ordering this book. After reading your blog post, I ordered it. I really enjoy N.D. Wilson, and I’ve heard many excellent things about this book. I’m looking forward to reading it, especially since it is written as a story and you’re right: oftentimes that’s the best way to convey truth. Definitely the most memorable way! As for what’s been inspiring me… not too much, but last year I really enjoyed Nik Ripken’s book The Insanity of God and have just started his new book, The Insanity of Obedience. It is mostly tons of stories about the missionfield and God’s provision and providence…. it is pretty amazing and inspiring. Really enjoying it. Merry Christmas to you and your family, Bobby!